Previously known as Mira Beach, we really liked Keranji Beach Resort and if you don’t mind simple accommodation and the isolation (it is a good 30-45 minutes walk from Coral Beach) then this is our top pick on Perhentian Kecil – and we’re not the only ones who like it, as it was booked solid for the rest of the month when we visited. Under European management, Keranji has a mix of older and very rustic wooden bungalows though to quite smart, bright and new wooden bungalows at a range of price points. We were unable to get a walk through as the rooms were full, but one guest we spoke to described her room as "just divine" and let us peek in the front door. The larger bungalows are the more solid and spacious with well appointed balconies and wooden doors with glass windows. The restaurant has an original menu -- short and simple, but we found the food to be very good and reasonably priced. The older bungalows are more typical Perhentian fare and are a bit overpriced for the standard, but the location, with a pretty, yellow sand beach and clear water offshore, certainly adds value. Keep an eye out for the resident river otter -- the owner came across the otter on the mainland when so young it was still blind and delivered it to the resort for safe keeping -- you’ll most likely encounter the otter scampering across the restaurant floor. Free WiFi sweetens the deal. Reservations are essential. 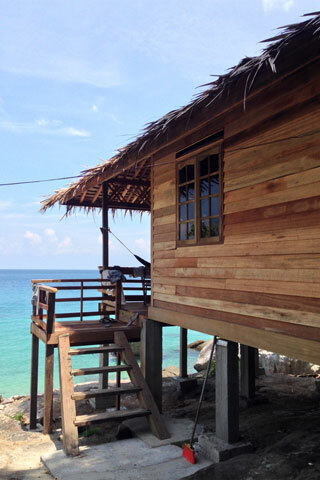 A selection of some of our favourite sights and activities around Perhentian Islands. 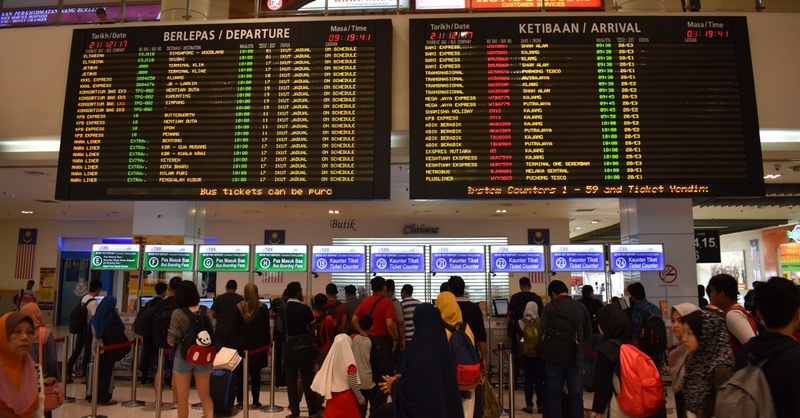 Where are you planning on heading to after Perhentian Islands? Here are some spots commonly visited from here, or click here to see a full destination list for Malaysia.